When it comes to purchasing a timepiece, most of the times, the choice made for a particular watch is made as a fashion accessory. However, the material used in a wrist-watch can define its practical nature. In today’s discussion, we will discuss the pros and cons of a watch rocking a titanium build versus a watch that has a stainless steel build. First off, it is to be considered that Titanium watches are really popular especially in the high-end market. While most watches are manufactured with a stainless-steel build, an increasing amount of timepieces can be seen to be featuring titanium cases. Why is Titanium becoming So Popular? To find out why the Titanium build is becoming popular, let’s discuss a few aspects that a Titanium Watch brings to the table. Titanium is actually a non-corrosive and a ductile material which is biocompatible, meaning Titanium does not cause allergic reactions as opposed to some cases in which stainless-steel watches do. 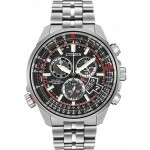 Moreover, the increase in the popularity of the Titanium watches can also be credited because of how light-weight and sturdy it is, about Fifty Percent lighter than stainless steel. The Titanium build is also known to be very corrosion resistant, making it ideal for sports-wear focused and marketed for wear exposed to water, making it a better choice for diver watches. The reason why we are going to discuss the titanium watches from Citizen and Seiko is that both the Japanese Tech Giants have dedicated research in the improvement of the Titanium they use in their timepieces. The two companies poured in a lot of money and research into the improvement of the Titanium alloy for marketing purposes and quite honestly, bore fruit. 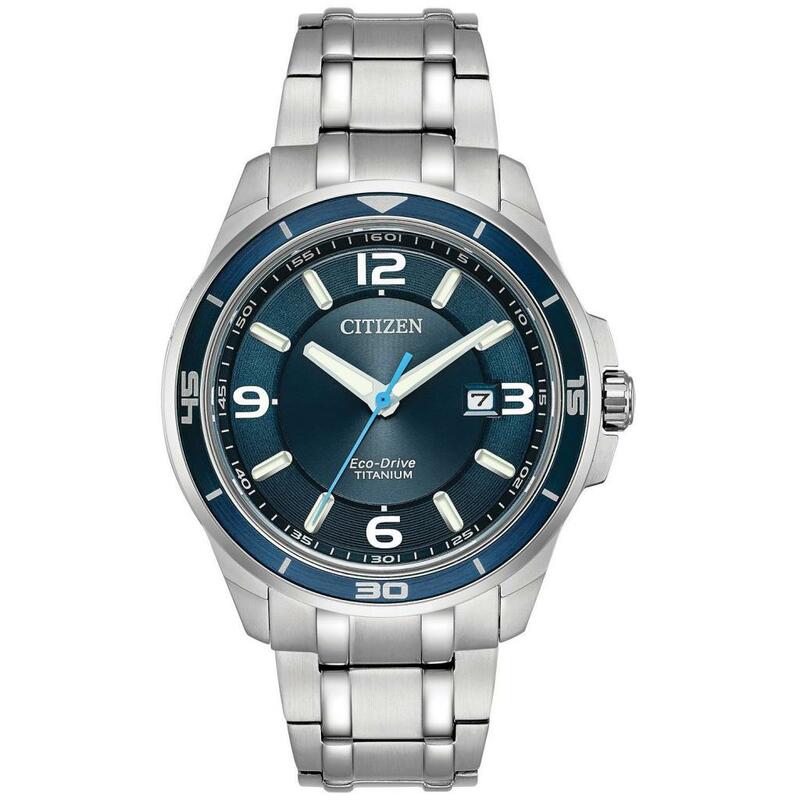 The Citizen X8 Chronometer was the first Titanium watch in the world and that was released way back in 1970. Now, the company utilizes a next-generation alloy called “Super Titanium“. This titanium has a unique IP treatment which makes the material, even more, scratch resistant. This next generation Titanium in their watches has an overwhelming advantage over stainless-steel watches making them 5 times tougher and 40 percent lighter than stainless-steel by using the company’s latest Japanese surface-hardening technology. Overall, the high-intensity Titanium used by Seiko and Citizen is almost indestructible and shows an amazing development in metal alloy technology for marketing. In short, Titanium used by these two Japanese companies, in particular, is more durable and lighter than stainless-steel making it the perfect option for a wrist-watch. However, the Standard Titanium build in a watch has certain advantages and disadvantages against the Stainless Steel build. Talking about the Pros of a standard Titanium watch, it may take all day, but for the sake of comparison, we will discuss a few aspects that deserve a worthy mention. The first question that comes to the mind of many people is that is Titanium watches durable? The answer is obvious. Yes. In fact, Titanium is about 30 percent stronger than stainless-steel. The durability of Titanium can be guessed from the way it is created. The Titanium alloy is heated to over 2000 degrees Celsius and later bombarded with electronic beams. The results then give us a pressure-bonded and incredibly strong, scratch resistant ionized titanium. The best example of how durable Titanium watch can be is using the latest Seiko and Citizen Titanium watches. So that answers the question if Titanium watches are durable. Now on to the other qualities, Titanium is stronger than stainless-steel and weighs about half as much as stainless-steel. This quality is an ideal feature in metal and is even used by NASA space and aircraft. Due to its sturdiness, durability, and light-weight with the added ability to resist corrosion and rust, Titanium is a really amazing option for expensive wrist-watches that require material to reduce the wear and tear. So, Titanium is Lighter, Stronger and more Durable than stainless-steel, giving it an edge over stainless-steel watches. The fashion trends revolving around watches have evolved long since the late 1990s. Sports watch especially those that are built to handle water exposure to a certain degree; need to be built of materials that can resist the corrosion. Similarly, sports including swimming and diving are known to have your whole body immersed in water for long periods of time. 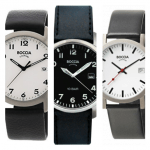 Watches that are built from stainless-steel can easily corrode. However, Titanium has the remarkable capability to resist this corrosion making it a really suitable material to be used during the manufacturing of sports watches. So, Titanium watches are definitely better than stainless-steel watches when it comes to companies that market diver watches. 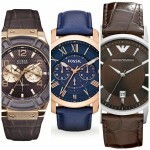 Most of the times, watches are bought and worn as a fashion accessory with a decent suit and tie or a flashy attire. The watch worn should often match your dress up complimenting your overall personality by a large margin. When talking about the collective preference of the general consumers, many prefer the brilliant gray color of the Titanium. However, the majority of the consumers of the watch market termed Traditionalists prefer the less recognizable, but more expensive and acclaimed platinum Titanium which announces itself with its signature look. In terms of Fashion Statement, the stainless-steel with its gold coated and shiny look can catch the attention of many, but the classy and luxurious look emanating from the platinum colored Titanium build can tailor to the expensive taste of enthusiasts. Although watches rocking a Titanium build have many advantages versus stainless steel watches, like all things, the pros and cons of a titanium watch may be more unbalanced towards the pros, but for fair play, the cons should also be mentioned. Titanium is more expensive than stainless steel. Repairing the Titanium build of a wrist-watch can be hard. Titanium is Bio-compatible, i.e, It does not irritate any allergies (in our case, Nickel Allergy). Gold-plating a Titanium watch is impossible. Attempts to buff out the scratches can be either very difficult or impossible. When going for an expensive watch, Titanium helps make more of a fashion statement as compared to stainless steel. Keeping it simple and clean, in titanium versus stainless steel watch, the latter has the following advantages over titanium. Stainless Steel is relatively cheaper than Titanium which indicates that the overall price of the stainless-steel watches is lower than that of Titanium watches. Stainless Steel watches can easily be repaired. Stainless Steel watches can be gold plated if desired, which the Titanium watches are not capable of. Scratches on the body of a stainless Steel watch can easily be buffed out. Stainless Steel watches are a definitely good choice, but the following disadvantages must be accepted when purchasing one. Stainless Steel is not as strong as Titanium hence making stainless steel watches less tough than titanium watches. Stainless Steel watches are not as durable as Titanium watches. Stainless Steel watches are needlessly heavier than titanium watches, so if weight is a concern that this is a point to take note of. Stainless Steel is known to irritate people that have Nickel Allergy. Which is better, Titanium or Stainless Steel? The long awaited question following our comparison of the two finally comes to a decisive point. To arrive at a conclusion, let us summarize all the points we discussed in an extremely brief passage. Titanium is twice as strong as stainless steel yet weighs half as much. The latest super platinum is up to 4 times lighter and stronger. Titanium watches are far more durable than stainless steel watches. Not to mention the part where Titanium built watches are Bio-compatible meaning that they can easily evade irritating Nickel allergies while Stainless Steel watches will do the opposite. As for the cons of the Titanium watch, it can be expensive to repair but with the latest technology of the next generation titanium watches, this is far less likely to happen, if at all, than with a stainless steel watch. In conclusion, Titanium watches are better than stainless steel watches and the popularity of titanium watches is for a good reason which can be tested once you have owned one. You can be sure of one thing though, once you have used a titanium watch; you’ll never go back to stainless steel. I hope this in-depth analysis and comparison of the two aspects have given you enough insight to decide for your own that which one suits you best and which one caters better to your specific needs. As always, feel free to leave a comment down below and be sure to let me know if you own titanium or a stainless steel watch or even if you have owned both, which one served you better in your experience.